Entrée gratuite + une bière ou un coupon de 50 HKD pour les prochains événements LONGINES International Jockeys’ Championship (05/12) ainsi que le LONGINES Hong Kong International Races (09/12). 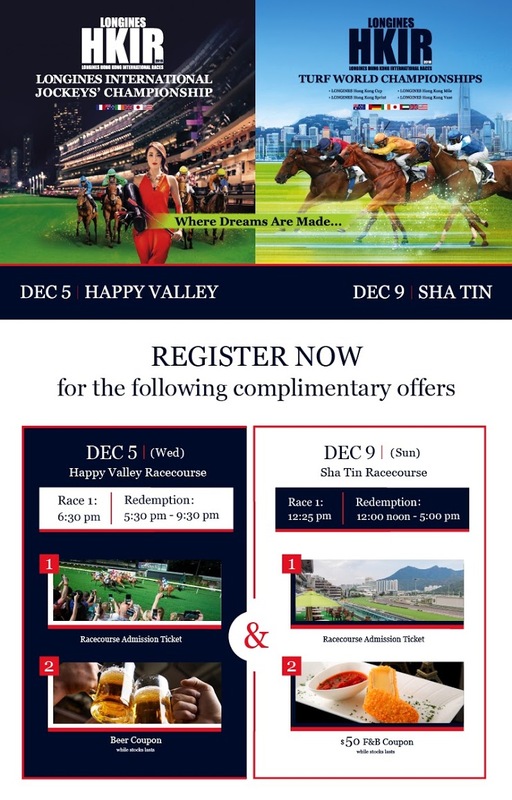 The world’s top jockeys will gather at Happy Valley Racecourse to battle it out in what is always an epic tussle for the LONGINES International Jockeys’ Championship. 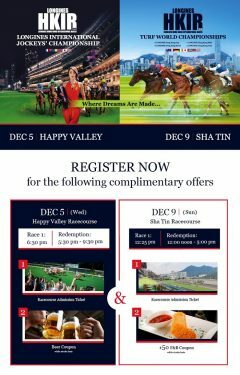 Sha Tin Racecourse will host one of world racing’s most celebrated events – the LONGINES Hong Kong International Races – on Sunday, December 9. Come and experience the truly world-class on-course action and exceptional off-track entertainment. Devenez partenaire entreprise en 2019 !